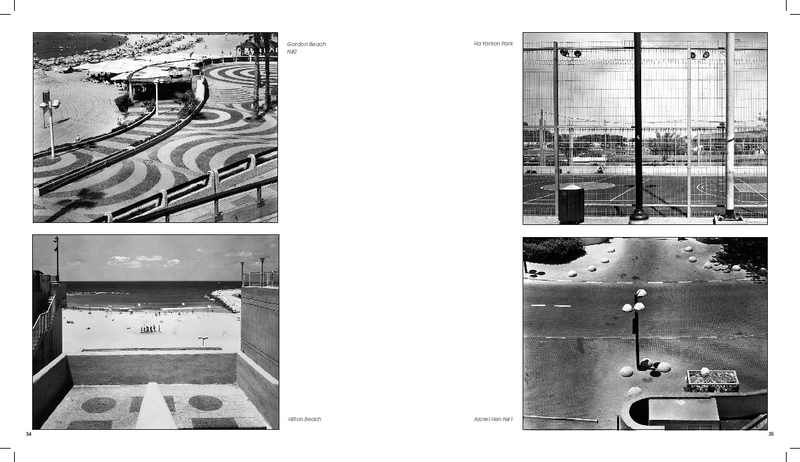 Juried by Jeffrey Ladd, John Gossage, Gabriele Goetz, Andreas Muehler-Pohle, Oliver Seltmann and Markus Schaden. 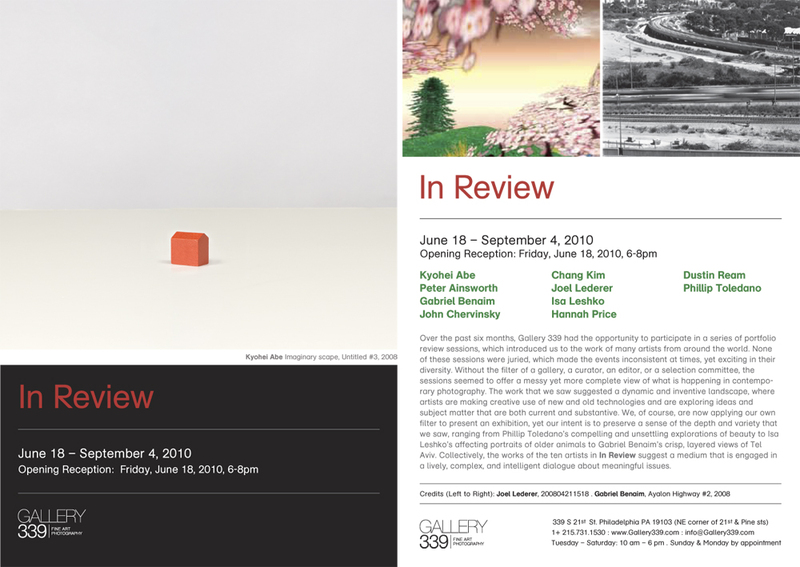 "In Review" Group Exhibit, Gallery 339, Philadelphia. June 18 - September 4. Press Release. 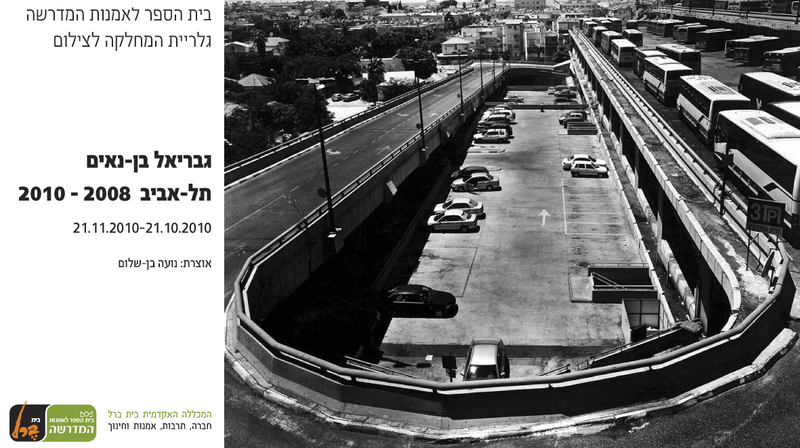 "Tel Aviv at 100" Solo Exhibit, Walter Keller Gallery, Zurich. April 29 - June 12, 2010. Press Release. Photonews Magazine, May 2010 Issue. 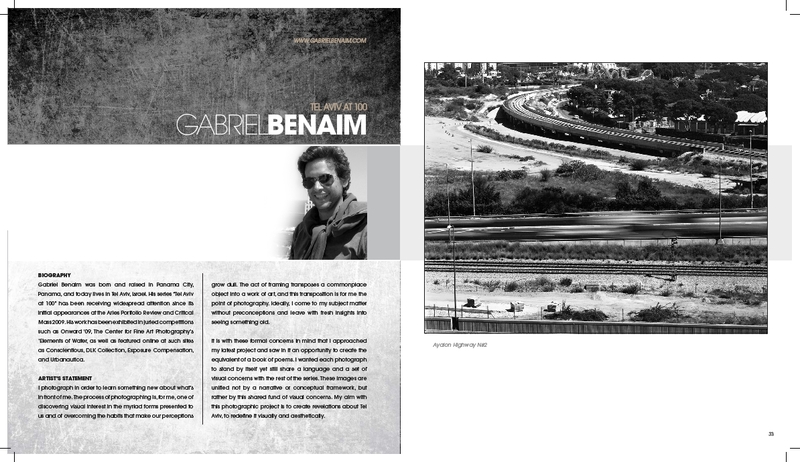 2 page spread and short essay (PDF download). Click here for the English translation. 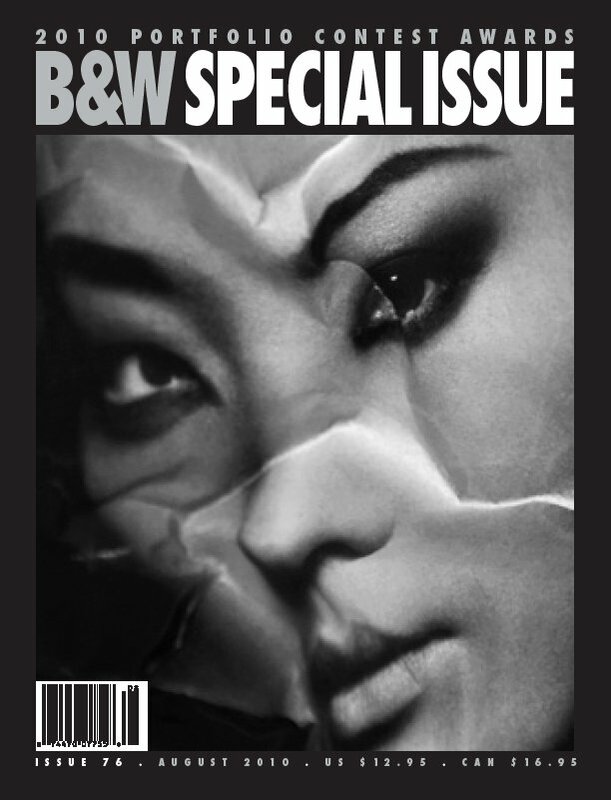 Black and White Magazine Merit Award, Special Portfolio Issue, Summer 2010. 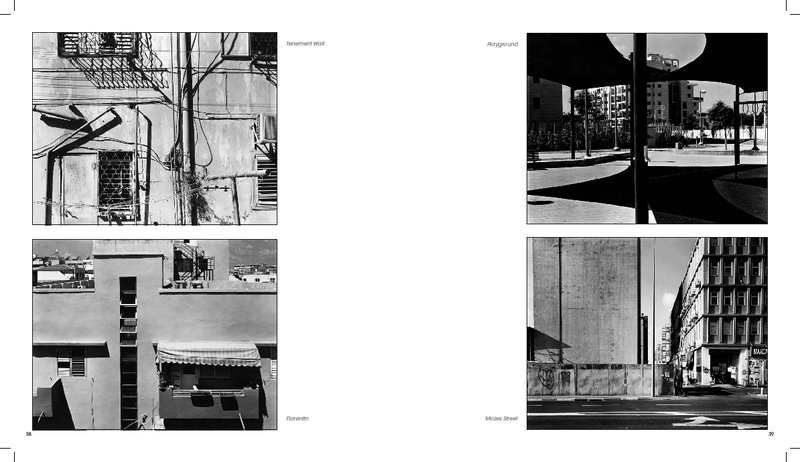 Five images from my "Wall Art" series were published in a two-page spread of B&W's special portfolio issue. Curated by Katherine Ware, Photography Curator of the New Mexico Museum of Art. Book and online exhibit. Book Launch and Reception will take place at the Center on May 8. Click through: Page 1, Page2, Page 3, Page 4. 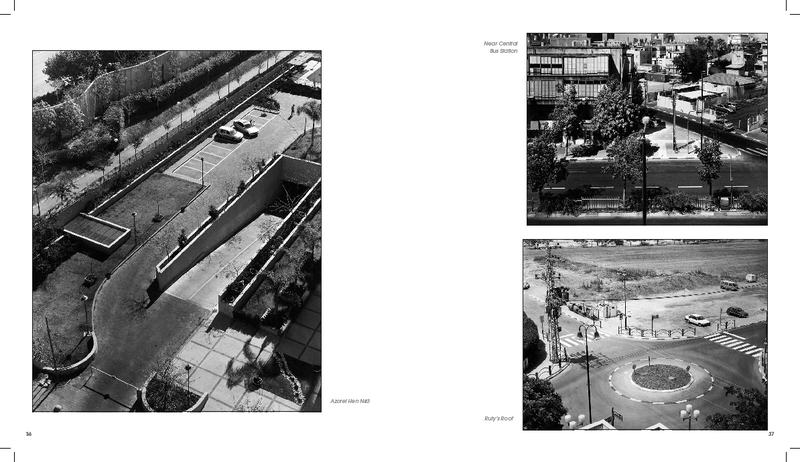 "Stepping back from the urban flow, Gabriel Benaim views his city from above, revealing the sinuous lines and muscular patterns that form the armature of life in contemporary Tel Aviv." See Juror's Statement Here. 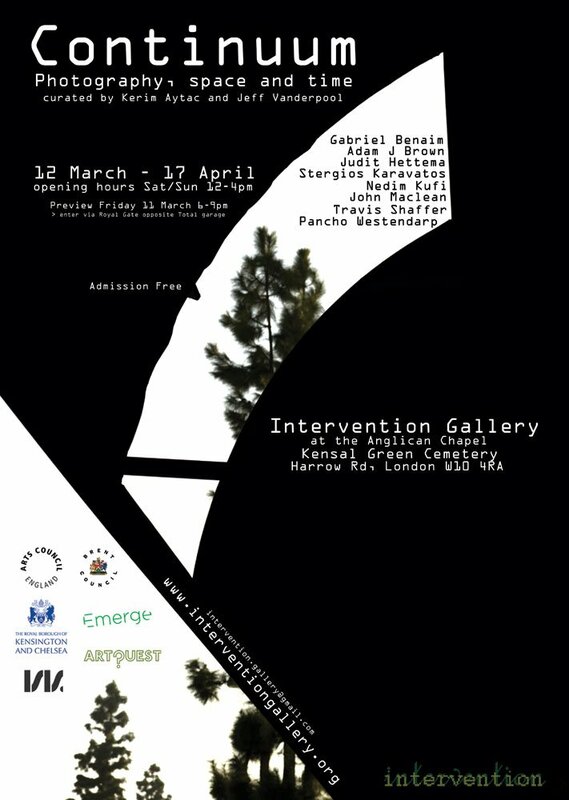 Curated by John Paul Caponigro. 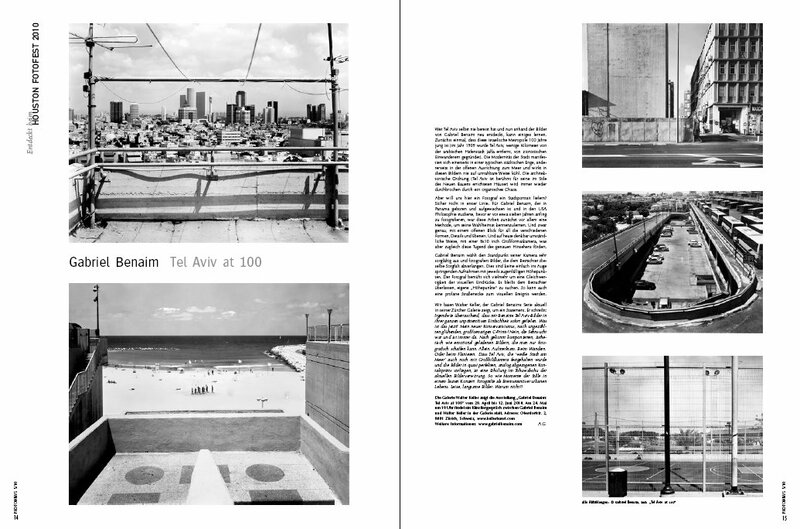 "There is an evident newness to Benaim's view of the city, an aspirational optimism and defiant spirit that is somehow different and less overtly critical than the American photography tradition he is drawing on. "